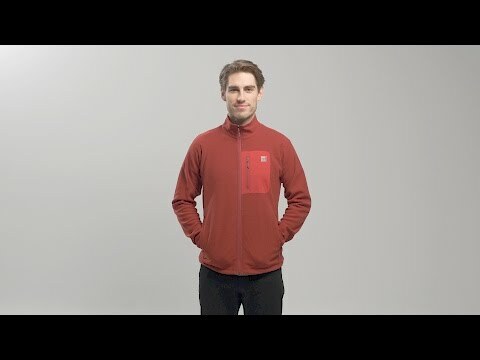 Super versatile, and easy going, this likeable fleece is light, packable, and works hard as a mid-layer. The fabric has a subtle heathered texture and a cozy brushed fleece face inside. A high collar and deep handwarmer pockets provide welcome shelter, and elastic binding at the cuffs lets you push up the sleeves for venting. Warm, compressible polyester fleece has a brushed inner face and heathered texture. Elastic binding at collar and wrists seals out drafts. 2 zippered handwarmer pockets and zippered chest pocket in Schoeller soft shell.